*Macdonald Spey Valley Resort* borders the famous River Spey with views of the Cairngorm Mountains - home to the UK's largest ski and snowboard area. The accommodations include lodges, spacious apartments, and cozy Scandinavian-style chalets. During your stay, you can relax in the swimming pool or whirlpool, exercise in the gymnasium, or pursue many outdoor activities such as a round of golf on the resort's nine-hole course. Course. Coffee, lunches, or evening meals are served in the Osprey Alehouse and Kitchen. 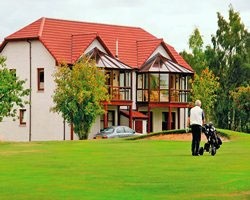 Discover more by visiting www.macdonald-resorts.co.uk. Red season week 2- great ski week every year! 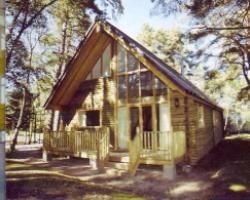 Week 15 every year at this enchanting retreat in the Cairngorm Mountains!